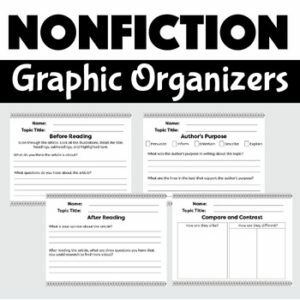 These FREE nonfiction graphic organizers will help your students to think critically about any nonfiction unit. Please don’t forget to leave a feedback. TPT gives you feedback credits that you can use to lower the cost of your future purchases. I love to hear from you! Also, follow me by clicking the green star next to my store logo. You will now receive updates about new products, freebies, and BIG discounts!